amfAR, The Foundation for AIDS Research, will return to Brazil for its fifth annual Inspiration Gala São Paulo presented by Harry Winston. The gala will again be held at the home of Dinho Diniz, hosted by Naomi Campbell and will feature tributes to Felipe Diniz and Jean Paul Gaultier. Diniz, who will receive the amfAR Inspiration Award, has been vital to the success of amfAR’s Inspiration series in Brazil since its inception. Jean Paul Gaultier, who will receive the amfAR Lifetime Achievement Award, has been an amfAR supporter and a leader in the fight against AIDS for decades. An amfAR Award of Inspiration will also be presented to the one and only Cher, the Academy Award-winning actress, singer, entertainer, humanitarian and longtime LGBT rights advocate. 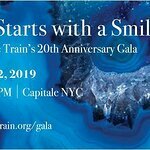 Co-Chairs of the event are Naomi Campbell, Kate Moss, amfAR Chairman Kenneth Cole and designer Ricardo Tisci from Givenchy. Dinho Diniz will serve as Honorary Chair. The event will include cocktails, a gala dinner, a live auction, and a special rare performance by Australian pop superstar, songwriter and actress Kylie Minogue. Revered Brazilian samba singer Alcione will also perform at the event. In previous years, the Inspiration Gala São Paulo has featured performances by artists such as Mary J. Blige, Gilberto Gil, Dita Von Teese, Seu Jorge, Fergie, Bebel Gilberto, Grace Jones, Jennifer Hudson, Debbie Harry, and Preta Gil. The Inspiration Gala São Paulo’s Platinum Sponsors include Iguatemi São Paulo, Karavelle and Moët Hennessy. Sky is a Silver Sponsor. Fasano is a Bronze Sponsor. Microsoft is amfAR’s official technology partner. Delta Air Lines is the official airline of amfAR. Harry Winston is the official jewelry and timepiece partner of amfAR. Moët Hennessy is the official wine and spirits partner of amfAR. The Inspiration series was launched in 2010 by amfAR and Josh Wood Productions to celebrate men’s style and fashion while raising funds for the Foundation’s lifesaving AIDS research programs. Inspiration galas have taken place in New York, Paris, Los Angeles, Toronto, Miami, and Rio de Janeiro, raising more than $20 million to date. Tickets and tables for the event are still available; click here or email inspirationsaopaulo@amfar.org for more information.